Production samples for the 71' bulkhead flat are very nice! They are in the store and ready for ordering. Centerbeam and log bunk conversion parts are also shown in the photo. These kits will retail for $30 each. 10 versions for CP, CP, BCR, AC, ,BN, ON, and WC are offered. These have etched end ladders, brake wheel, and there are versions with log bunks or center beam conversion as appropriate for number series. The instruction article is on the parts-instruction article page. 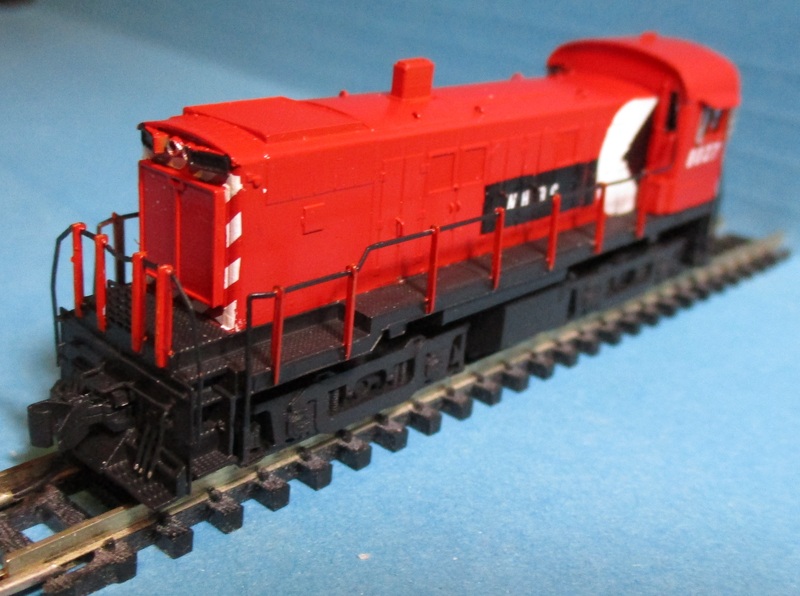 N scale GP40-2L shell kits are in the store and quite a few have shipped. Three versions of this kit are in production: as built for CN, with dynamic brakes added for Rocky Mointaineer service, and as sold to US railroads modified with light location and step changes, also with dynamic brake added. 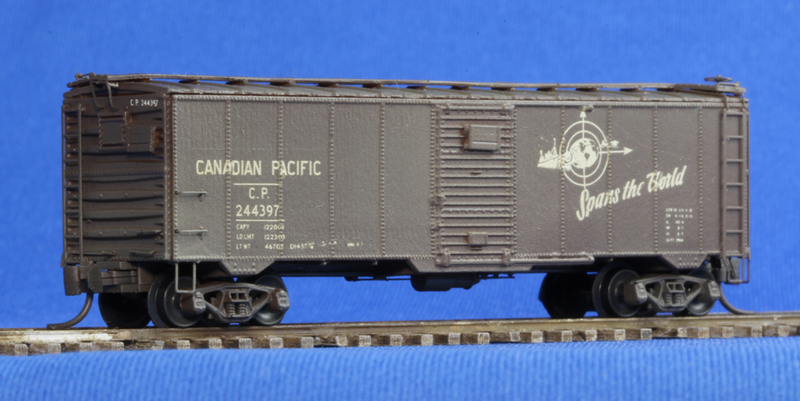 New in HO scale are CN GP38-2 detail kits. 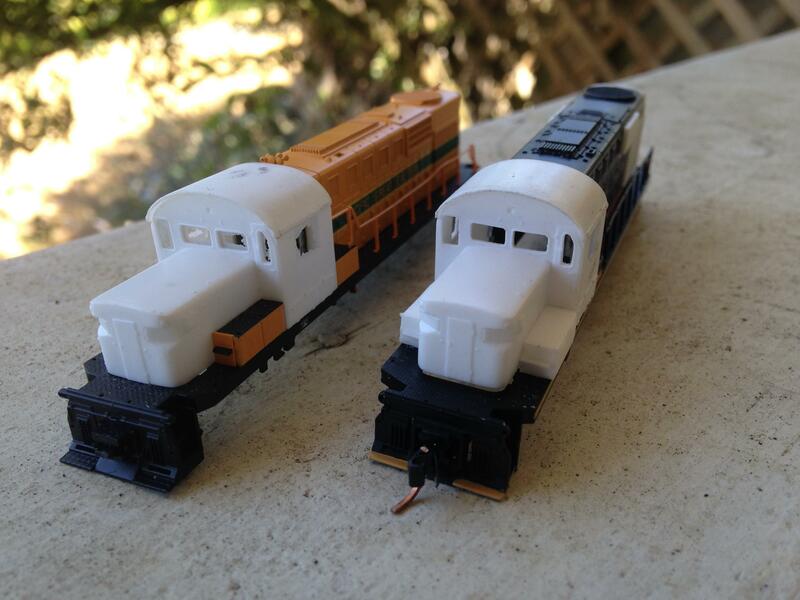 These are not for GP38-2W units, and have the standard style snow shields and AC style anticlimbers included. These detail kits are priced at $30. For all these products please contact chrisd at briggsmanufacturingassociates for ordering information and to make your reservations.